Collaboration of Otsuka Indonesia and Indonesia IMTC to increase nutritional status of MDR TB Patient in Jakarta and its surround. Jakarta, on 30th December 2018, PT. 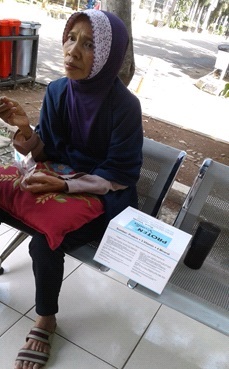 Otsuka Indonesia in collaboration with Indonesia Initiative on MDR TB Care (IMTC) and the Former Patient Organization TB PETA (Pejuang Tangguh) held a CSR activity in the form of supplementary feeding for MDR TB patients in the DKI Jakarta area in the form of PROTEN Gold supplements. For the December period, PT. Otsuka Indonesia distributed 14,400 sachets of PROTEN Gold Vanilla to be distributed to MDR TB patients in DKI region with support of friends from PETA. 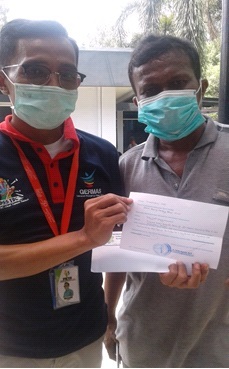 PETA consisting of former MDR TB patients distributed PROTEN Gold in 5 Referral Hospitals and around 30 Community Health Centers in the entire DKI Jakarta area. Determination of patients who received PROTEN Gold was determined by PETA’s personnel/friends based on patients who met several criterias such as New MDR TB patients and had lower BMI (Body Mass Index) in order to improve the nutritional status of each patient. Support in the form of additional food for MDR TB patients was considered important to help the healing process of patients, where low BMI would prolong the treatment process. MDR TB patients themselves need additional intake in form of high protein foods or drinks. Therefore, PROTEN is a good solution. This website is designed and intended for use by healthcare professionals only. Are you a healthcare professionals?